Manhattan, New York City, NY. March 8th, 1971. 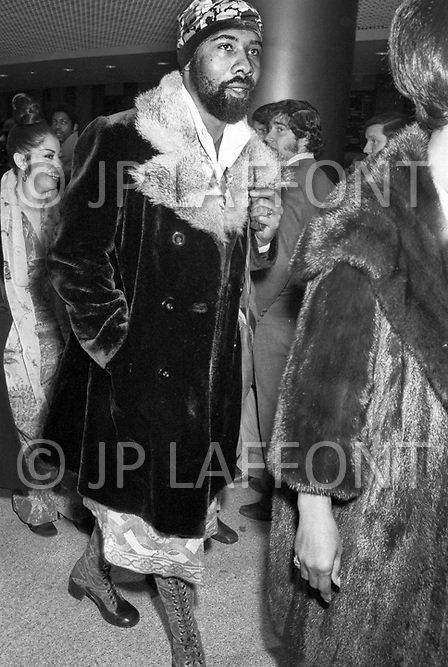 Boxing fans exhibiting theIr eccentric clothes before the beginning of the first match between Muhammed Ali and Joe Frazier.